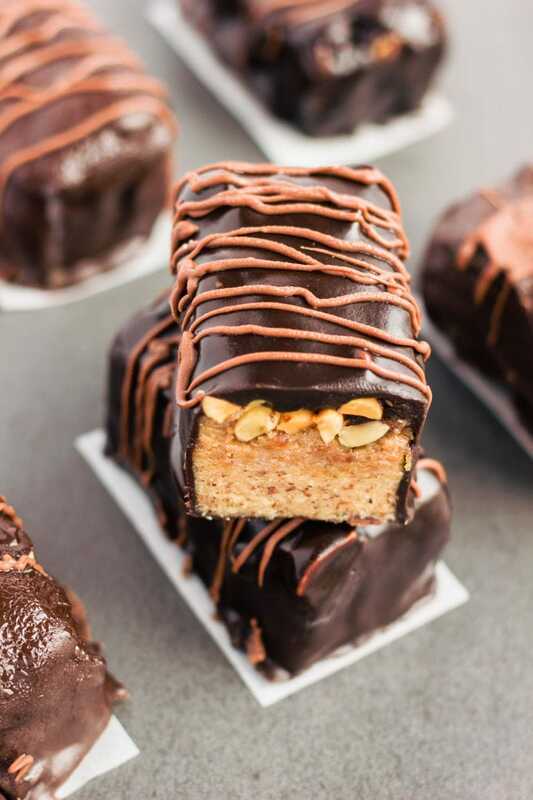 These healthy snickers proteins bars are a homemade copycat of the original bar which taste just like it. Made with 100% real food, guilt-free ingredients, this delicious no-bake protein snack is gluten-free, vegan, dairy-free, egg-free, flourless and kid-friendly! This bar is a real dream come true. 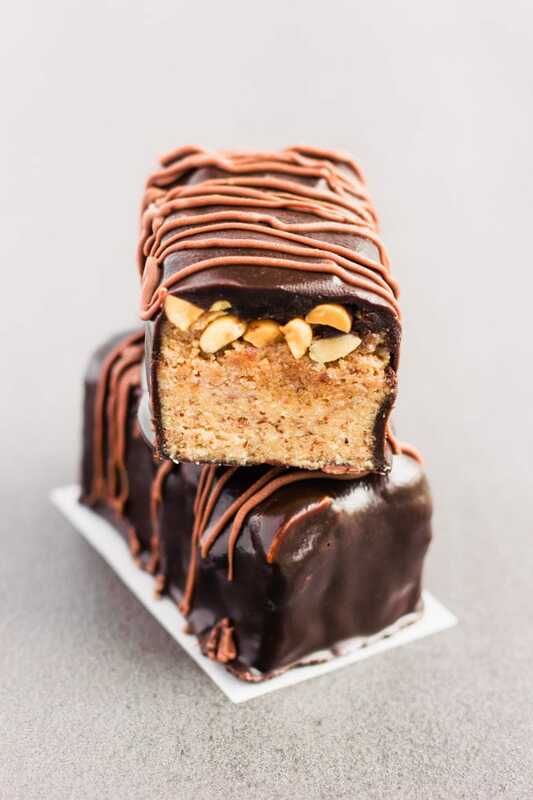 At first bite, you would never ever guess that this bar is 100% made with healthy ingredients. 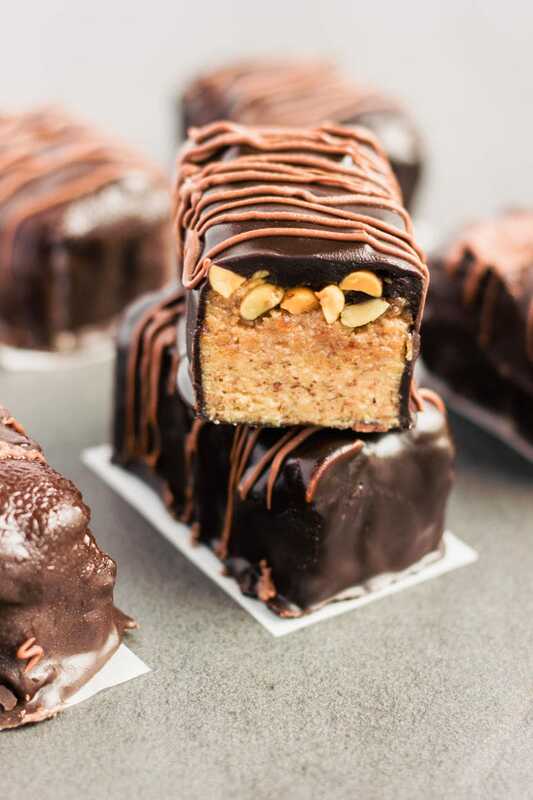 This bar is so good you’ll never want to make any other protein bar recipe again. I’m serious. 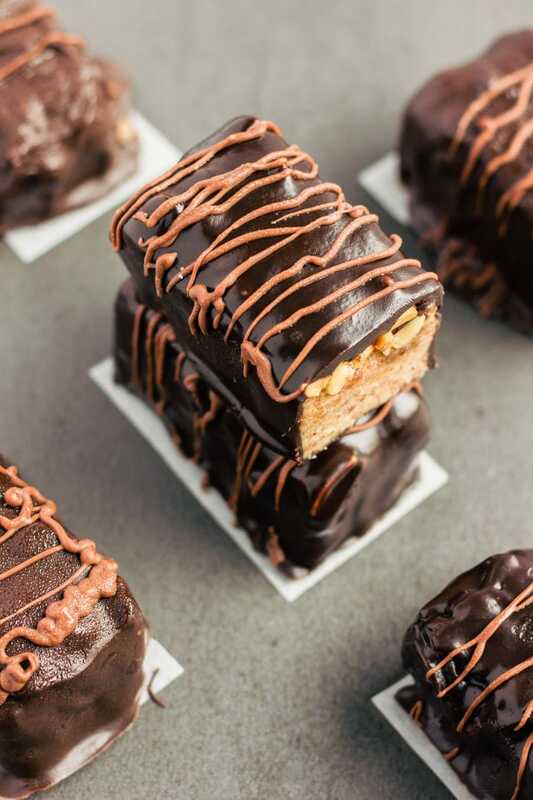 A thick and fudgy nougat topped with a decadent salty caramel layer and lots, lots, and LOTS of peanuts… All of this coated in a healthy antioxidant-filled dark chocolate. 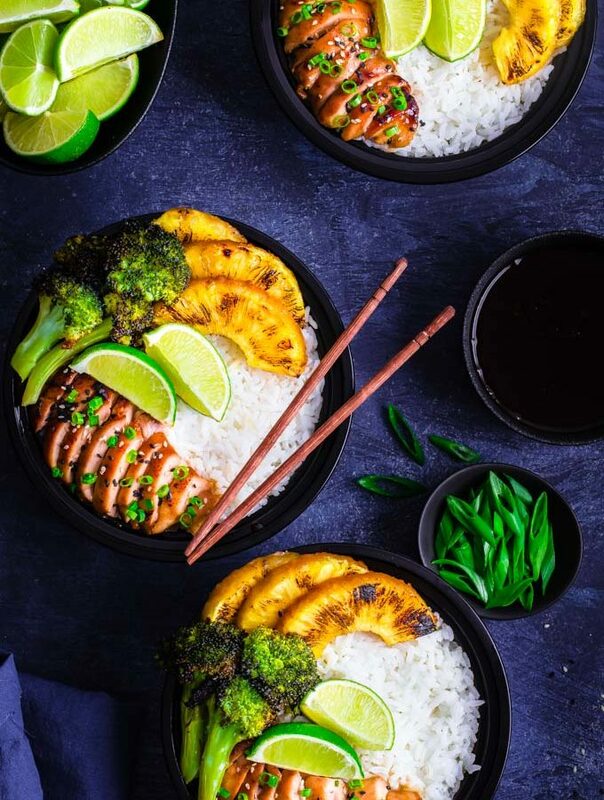 Plus this recipe is lots of fun to make! And much easier than what you’d think. But bring some of those at work and I swear people will never look at you the same anymore. This is food of the gods my friends. Literally. I train a lot, and I’m a heavy guy. I need a LOT of protein and calories every day to keep up with my training and gain muscle. Protein bars and other on-the-go snacks like these are a lifesaver. If you’re like me, then you know how hard store-bought protein bars are on your wallet. Especially the tastiest ones. But you know what? 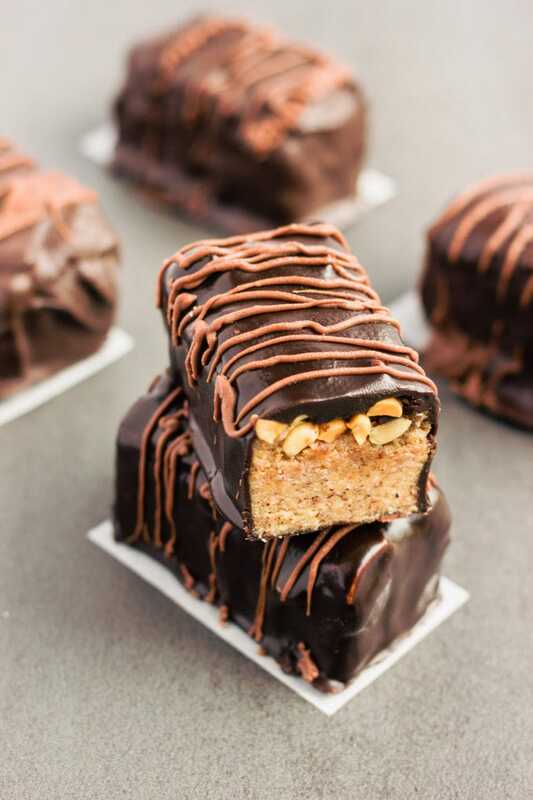 These homemade snickers protein bars are so good, I am probably never going to buy protein bars ever again. 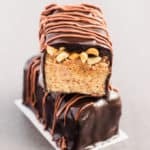 These bars are essentially made with almond flour and peanut butter, both are high-protein and you probably wouldn’t need to add protein powder if you prefer not to. Though it will not change the recipe, I suggest you add some vanilla protein powder as the bars will taste better and will obviously contain more protein. Which is the goal of making protein bars, right? If you still decide to skip the protein powder, simply replace it with 1 tsp vanilla extract. In a large mixing bowl, mix all of the ingredients from the "Nougat Base" section thoroughly with your hands. Press the nougat evenly into your lined baking pan. Transfer to freezer for at least 30 minutes. Meanwhile, put all of the ingredients from the "Caramel Layer" section in a food processor and process until smooth (about 1 minute). Spread the caramel evenly on top of the nougat layer. Spread 1/2 cup peanuts evenly on top of the caramel layer and press them gently. Pour melted chocolate into a large bowl and dip the bars one by one leaving a fork or small spatula underneath and using a spoon to scoop chocolate on top of them until all the surface of the bar is coated with chocolate. Use the fork or spatula to remove the bars from the melted chocolate and place them on the lined baking sheet. Repeat this process until every bar is coated. The amount of chocolate needed may vary. 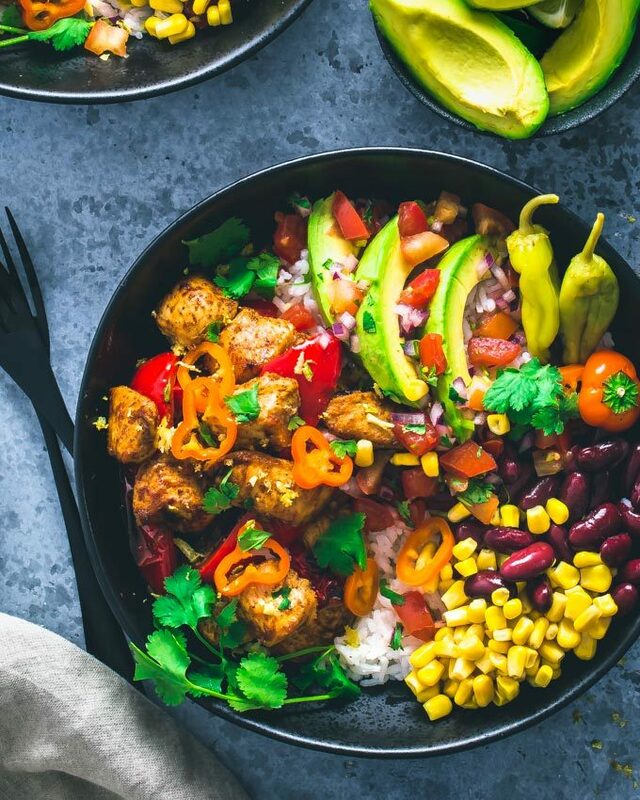 * Plant-based for vegan or dairy-free options. When doing so, reduce the amount of almond flour used in the "base" section to 1 cup. ** The type of chocolate used should be compliant with your personal diet. 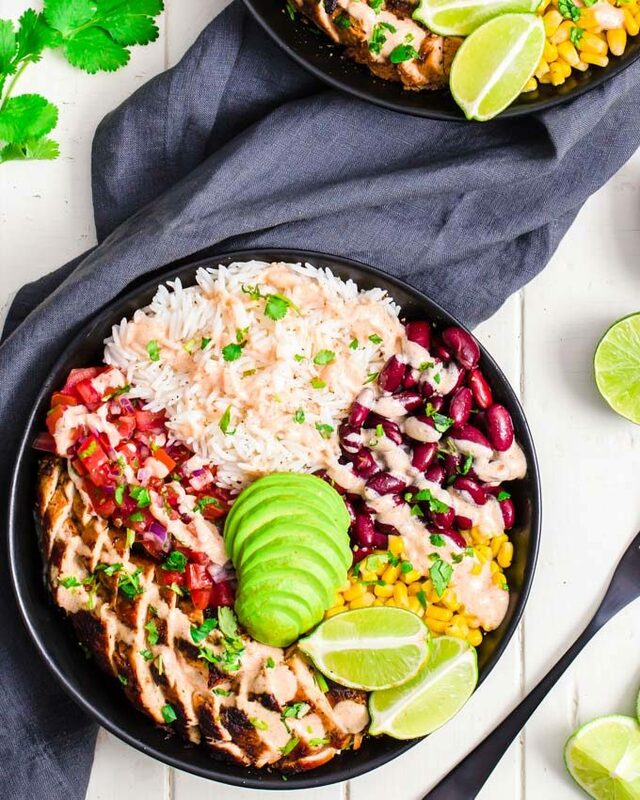 Hi Gabriel, So I found this recipe on Pinterest, and I immediately had to hop over to your website. It is mouthwatering. I am going to make it this weekend! I don’t buy any snickers, but what a healthy alternative. I immediately pinned it on my boards. Thank you! Thank you for your kind words. I would love to know how you liked the bars! 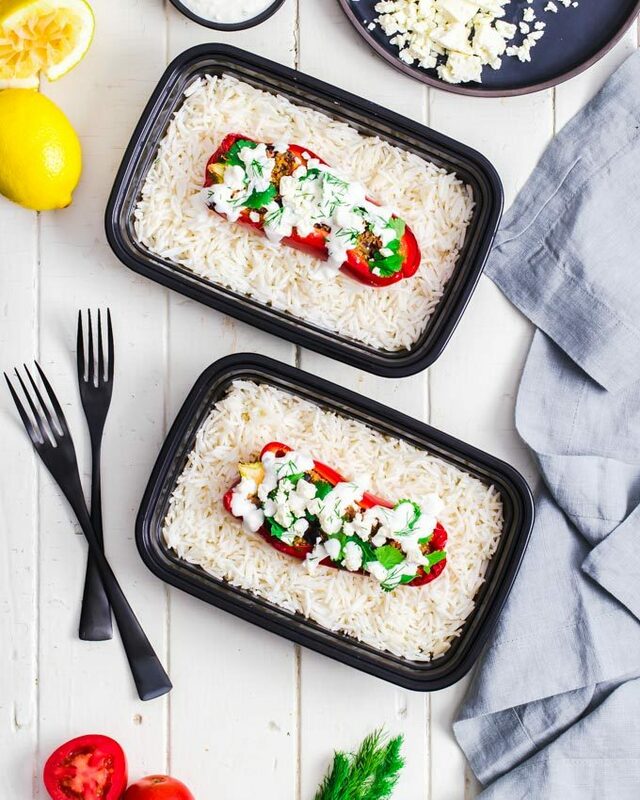 These sound very good. Can’t wait to try them. I am always inventing healthier versions of foods I enjoy. Thanks for sharing!! I tried a double batch of this recipe and the nougatine seemed too moist. I need to give it another try. Can you tell me though… What is the drizzle that you used on top of the chocolate please?